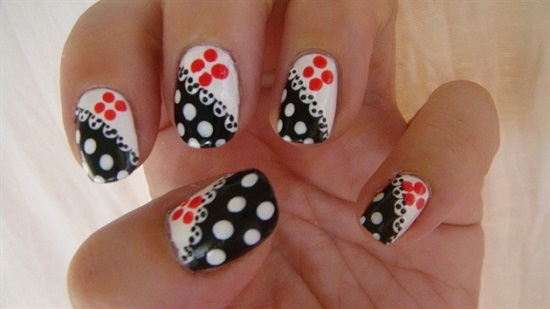 Polka dots nail art has become very popular lately. 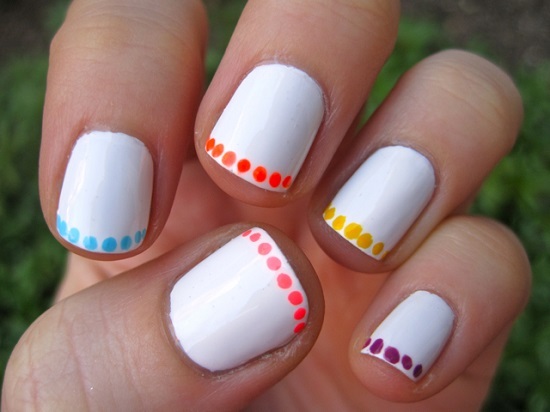 This type of nail art is easy, fun and looks great. 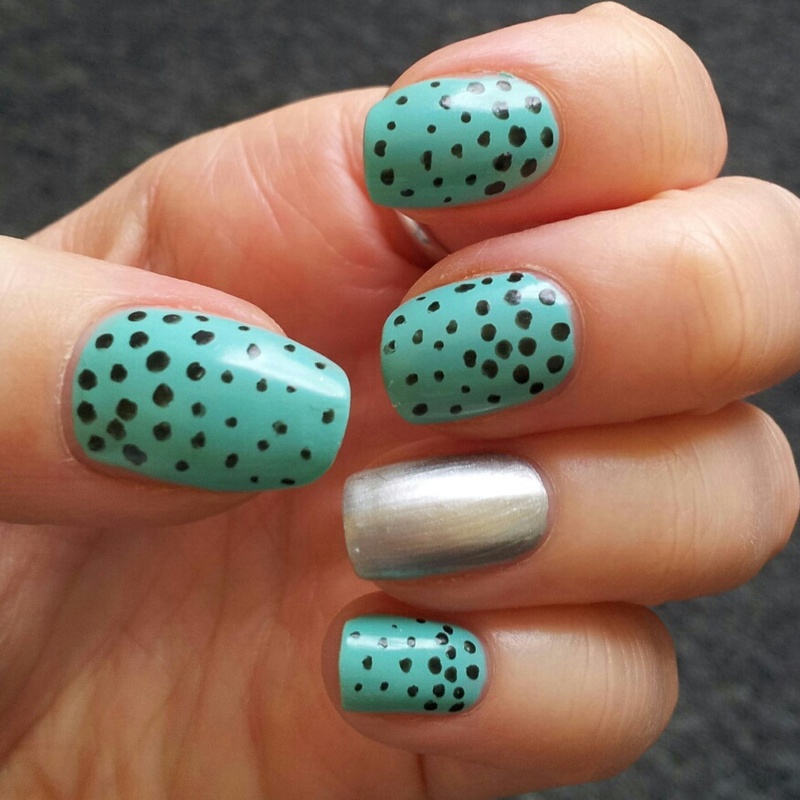 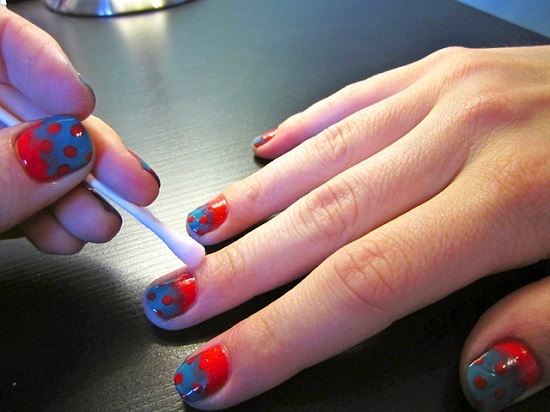 Another wonderful thing about polka dot nails is that you don’t need any special tools; it can be done at home using a toothpick or a bobby pin. 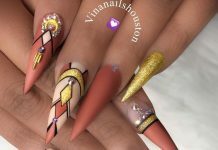 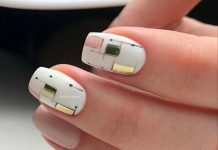 It may look complicated but it is actually really easy and unlike other nail art ideas, it doesn’t require much skill or patience. 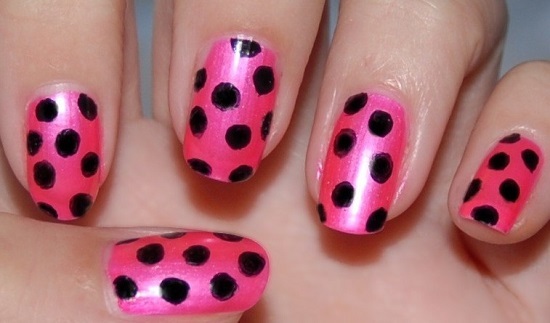 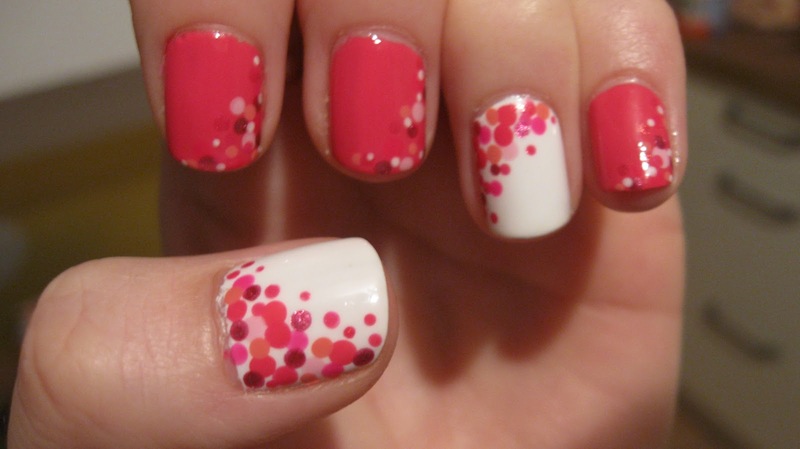 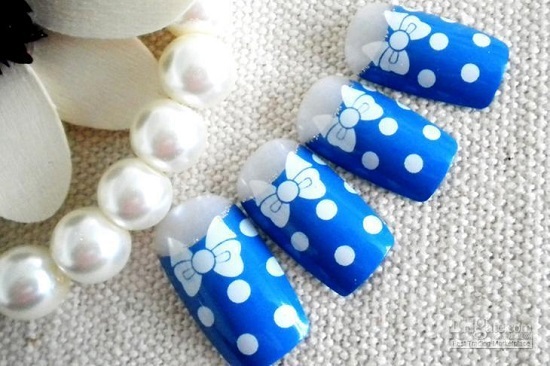 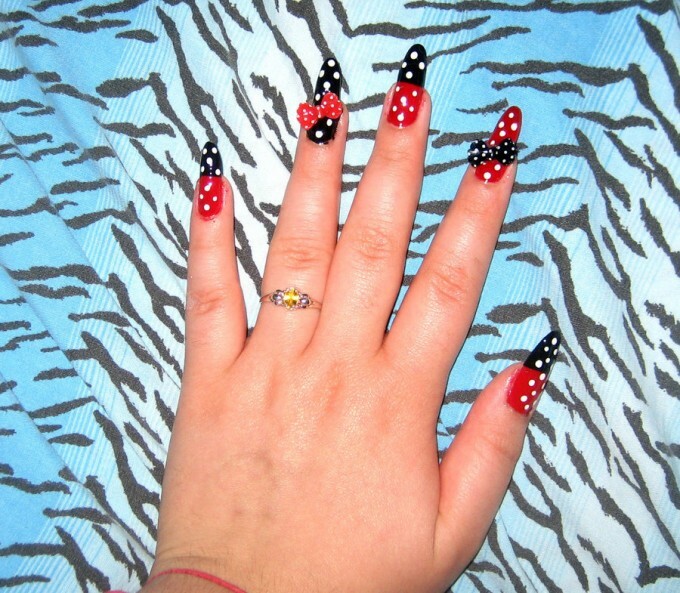 Polka dots look cute on clothes and accessories and also on nails. 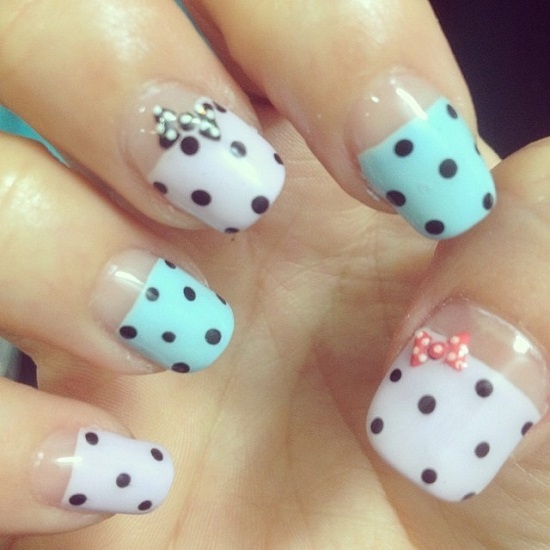 This is one trend that is always in vogue. 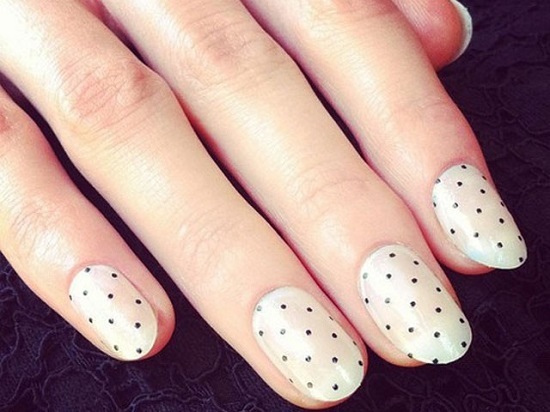 Let your finger nails have a new stylish look with polka dots. 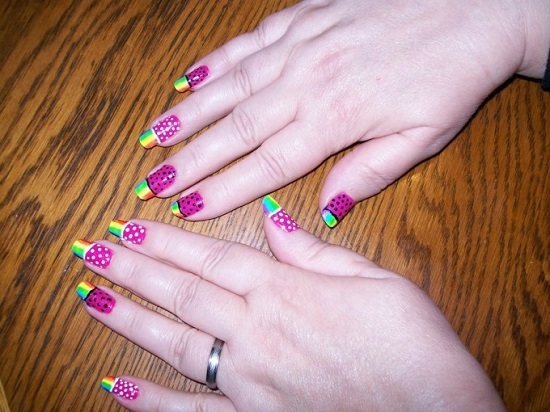 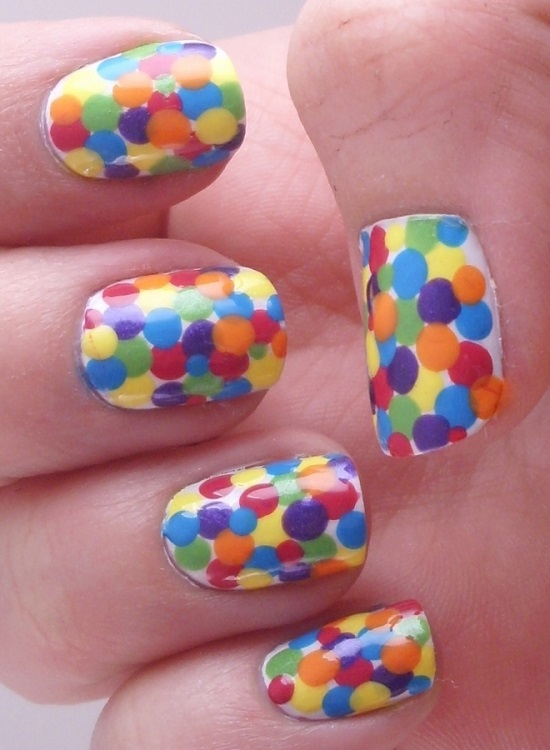 With polka dots on your nails, you can try out all the bright and happy colors that you’ve always wanted to. 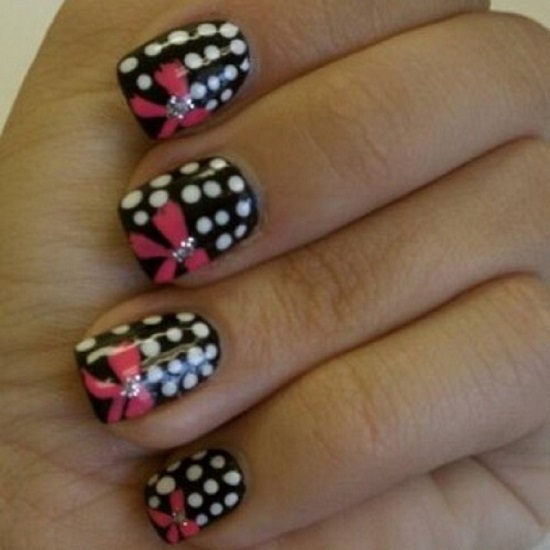 Using this trendy nail art, girls can enjoy the attention their nails bring in. 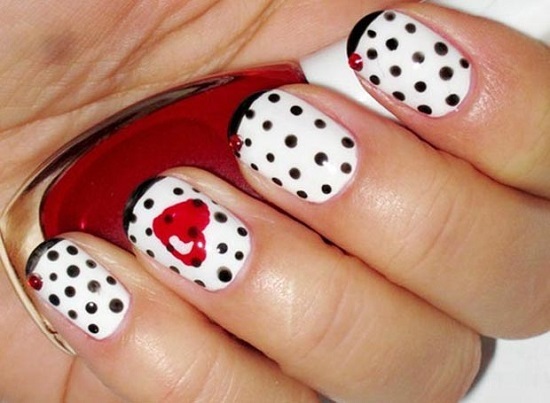 Thankfully, creating polka dots nail art is not as difficult as many may have imagined. 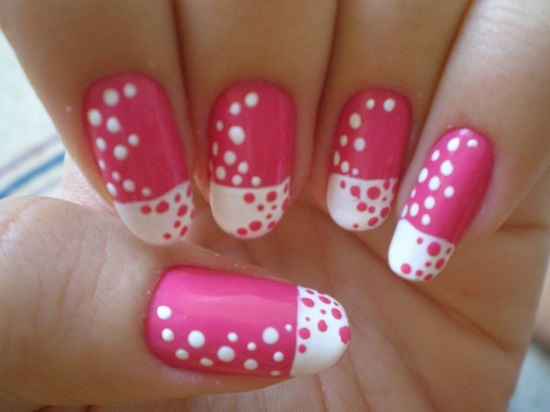 By painting your nails at home, you can not only save a lot of money but also get amazing results. 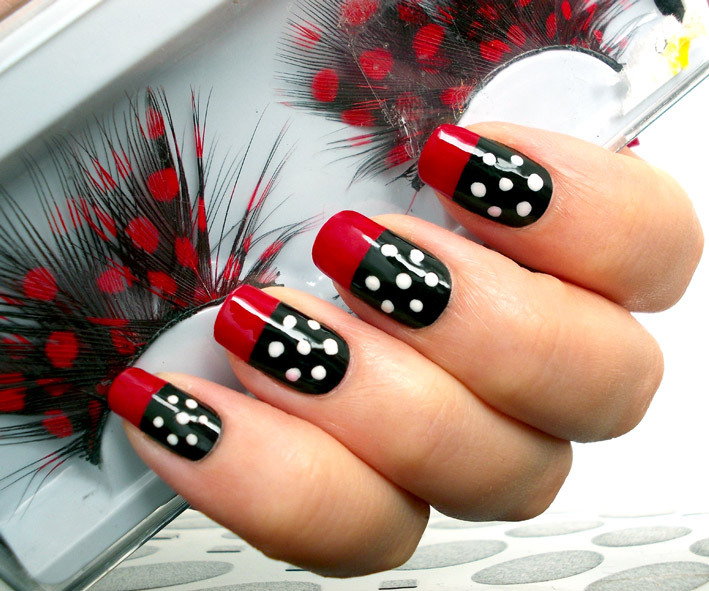 If you want to make this classic old polka dots look more exciting, you can add your touch of creativity and mix polka dots with different designs. 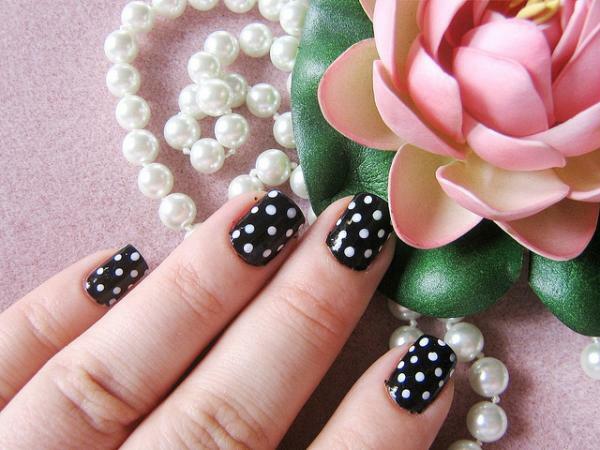 Flowers made of polka dots look appealing and pretty. 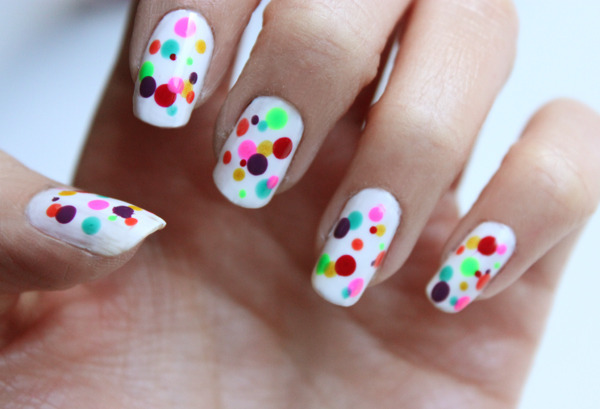 You could even opt for a theme and include polka dots in it. 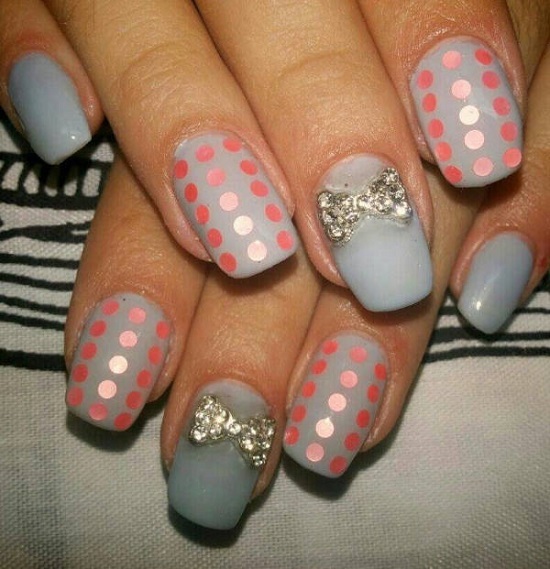 Mix and match with sparkles and glitter and you have a perfect manicure for a fun evening. 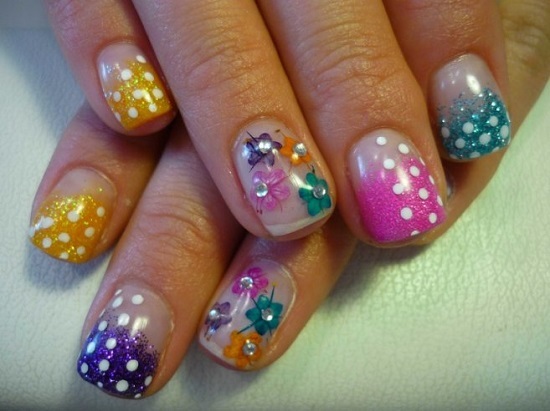 From pretty floral designs to colorful rainbows, from cute cartoon themes to bold colored polka dots, you can try out different gorgeous designs, and they would all look stunning. 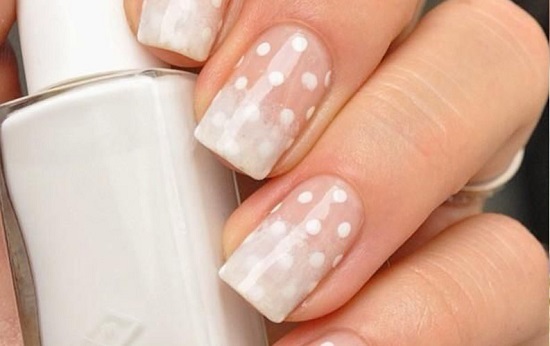 It is quite simple and still looks unique and trendy. 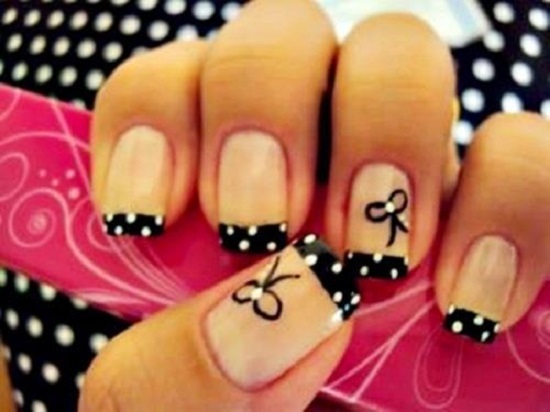 Just let your imagination lose and bring out the artist in you. 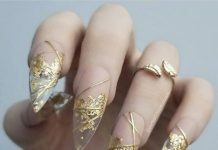 The results are nothing less than awe inspiring. 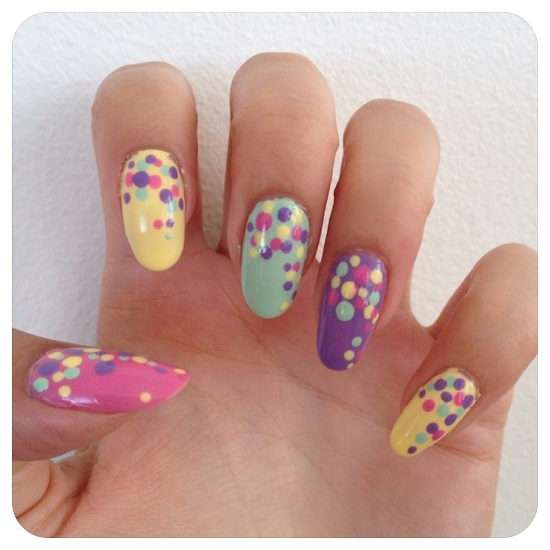 With each new set of polka dot nails, you can add a touch of your own personality with colors and designs. 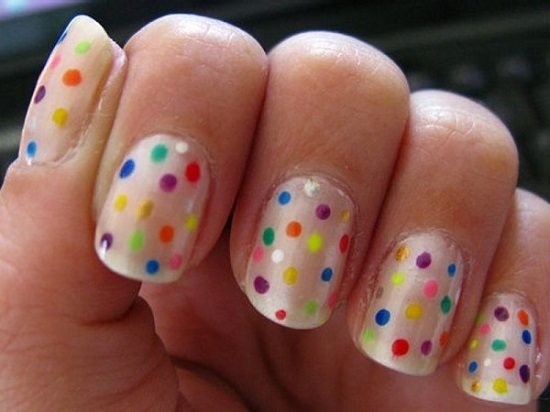 With so many bright colors, sparkles and shiny nail paints, the effect of polka dots is tremendous. 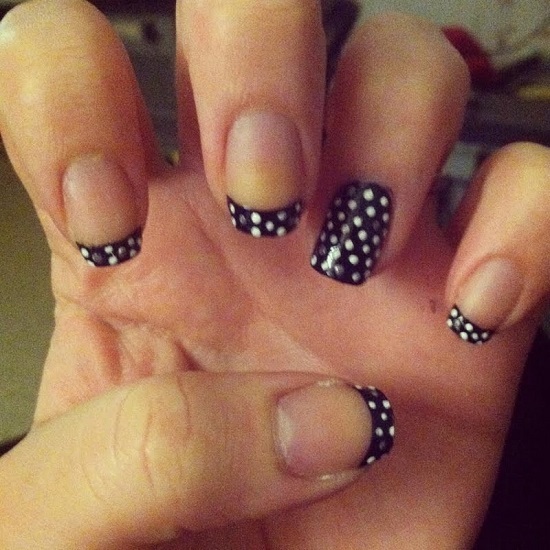 The amazing thing is that it takes only about fifteen minutes! 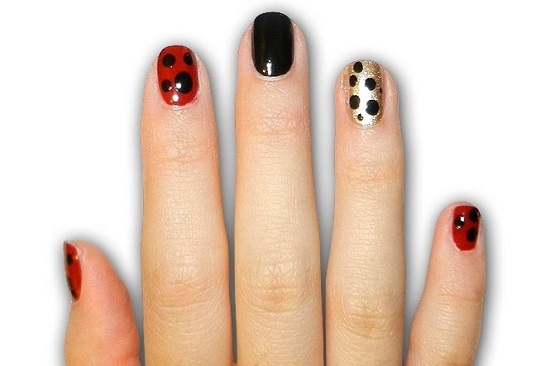 With the fun and easy polka dot designs you can transform your simple nail polish into a fancy and classy manicure. 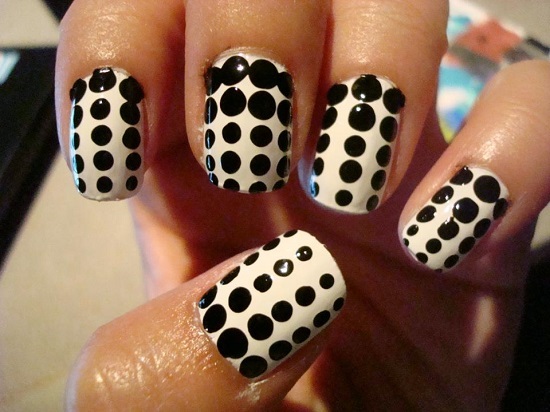 If you have seen girls with attractive polka dot nail art and wondered how you can get it too, here are some ideas that would help you get the most beautiful polka dot nails.